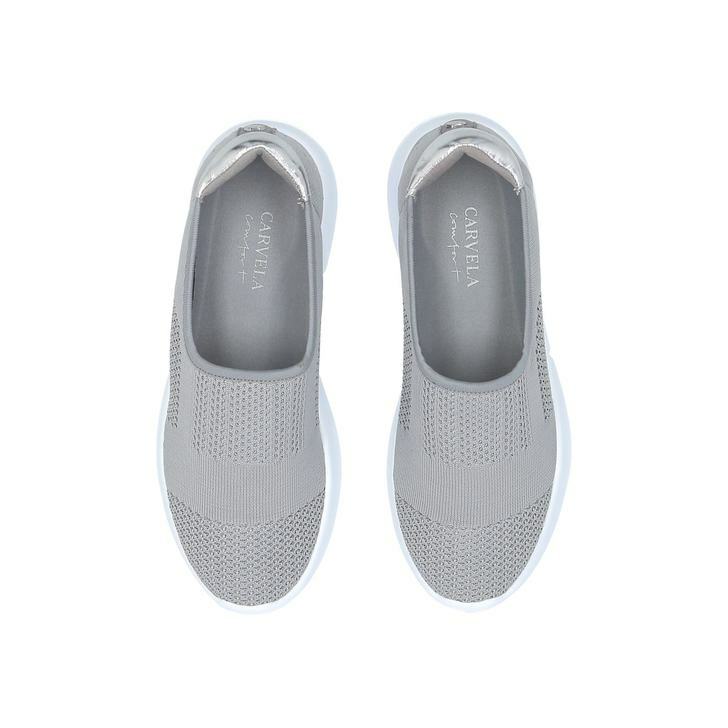 Remain comfortable and chic in the Carvela Comfort Carly 2 trainer in grey fabric. 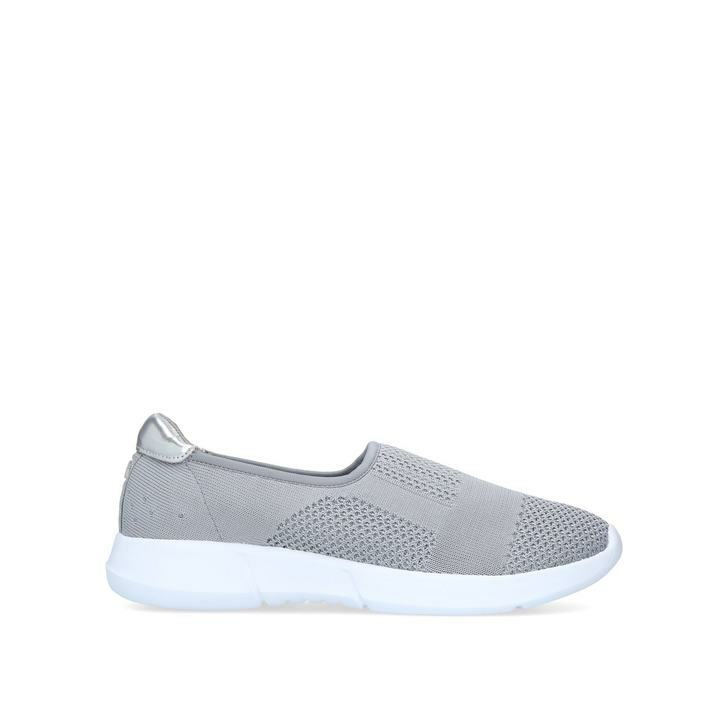 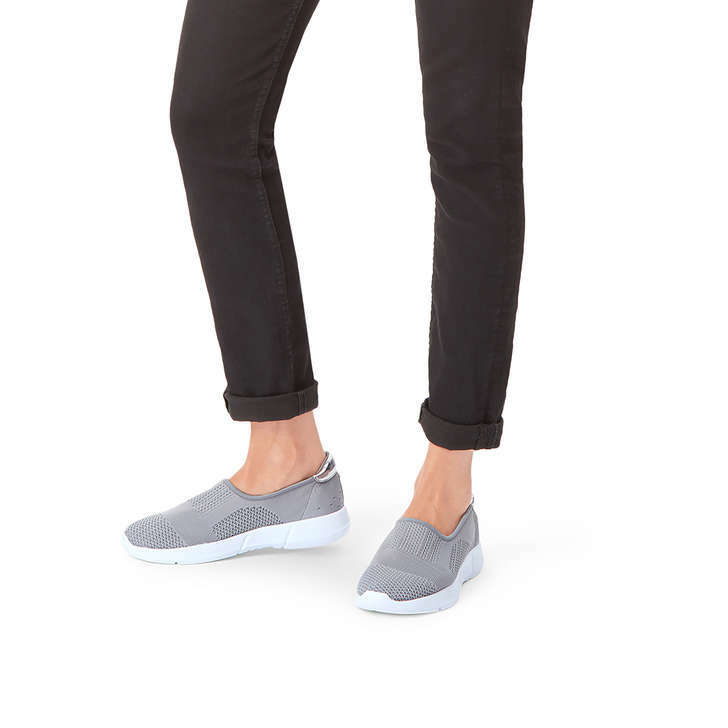 Super sleek without laces, this slip-on features soft padding and a knitted upper for a modern finish. 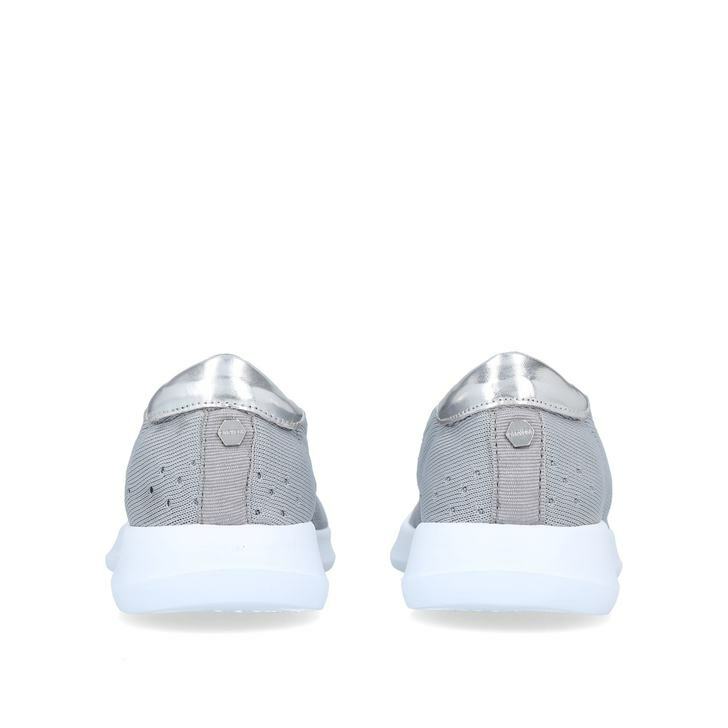 The metallic detail at the heel adds a touch of sparkle.